I am guessing that I am not the only one who is feeling like it’s time to purge my stuff and get organized. Almost every blog I read this week is posting organization tips, my Pinterest board is full of pins picturing beautiful closets and pantries, and magazine covers boast that they have the perfect strategy for organizing your life. Actually, there’s also a lot about getting fit and exercising, but I skip over those! As soon as all the gifts are unwrapped Christmas morning, I begin to feel stressed. Isn’t that crazy? 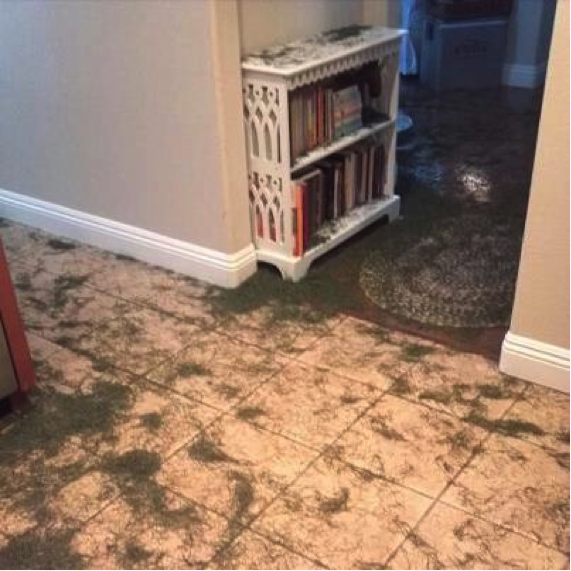 What should be a time of thankfulness at the great gifts we have been given, turns me into a panic of “where am I going to put all this stuff?” Here is the aftermath…keeping it real! 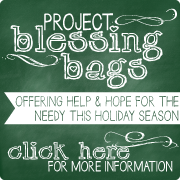 Originally I purchased them to use for homeschool… but they didn’t work as planned. They are supposed to hold 12 x 12 paper and you can buy them at your local craft store in the scrapbook section (wait until they are on sale…I usually pay $4 for one). They are perfect for corralling toys. 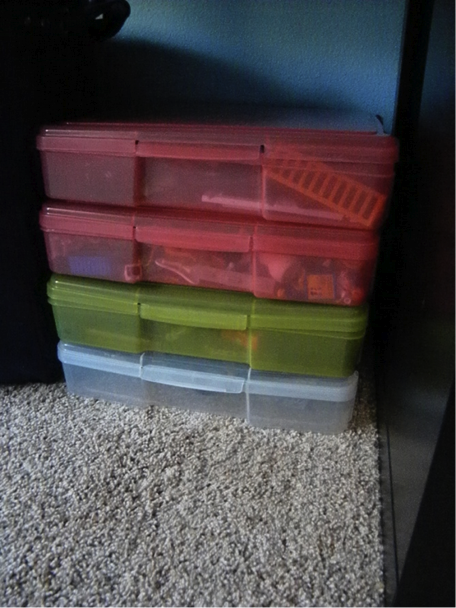 They are clear so you can see what’s inside, they are shallow so my son can easily find what he is looking for, they stack easily, and they open flat which becomes a play spot (Cole gets frustrated when his animal figurines won’t stand up on carpeting—the lids work great). They also transport really well. Cole got Bey Blades (mothers with boys should know what these are…if not, you will!) 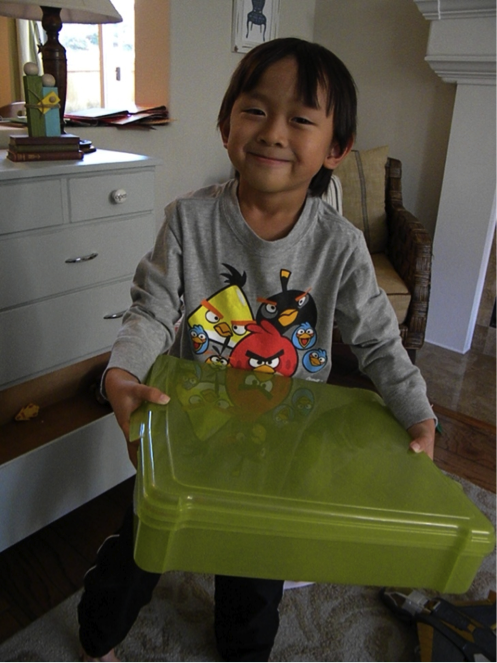 and he grabbed his box on the way to church Sunday morning and played with his friends after the service. I won’t make any false promises…the toys do eventually get mixed up and all over. They are not magic boxes! My son does do a good job cleaning up when asked, but he is extremely creative, so he usually ends up using toys differently than what they were intended (which means Legos end up with zoo animals and horses end up with dinosaurs). I am always trying to find balance in life. 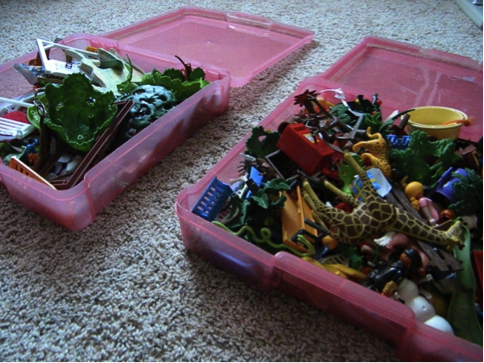 Of course I want to be organized and have everything in its place, but not at the cost of being a grumpy mom or wife. I want my family to enjoy our home and have good memories of me spending time with them…not memories of me ranting about toys everywhere or constantly trying to keep up the house. I want to focus on what is truly beneficial for my family instead of being discontent when my closet doesn’t look Pin-worthy (is that a word?). 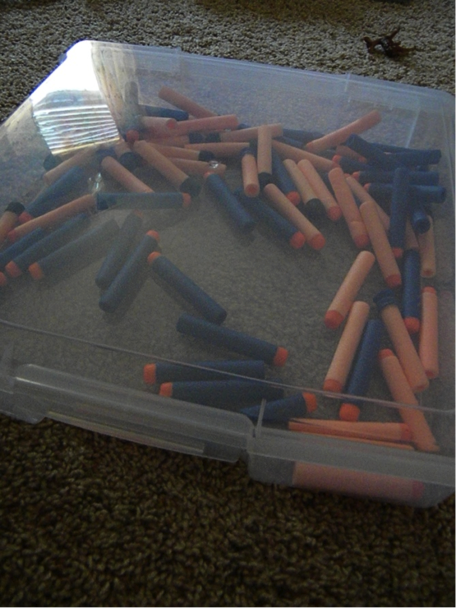 I also know the days of raising my son are short and someday I will miss finding Nerf bullets in my shoes…and under the couch…and in the kitchen sink. So, what organizational project are you working on? Any ideas you are willing to share? I may have (kind of) solved one problem, but I still have plenty to work on (please don’t look in my fridge!). Deb, you’re so funny! I love it. 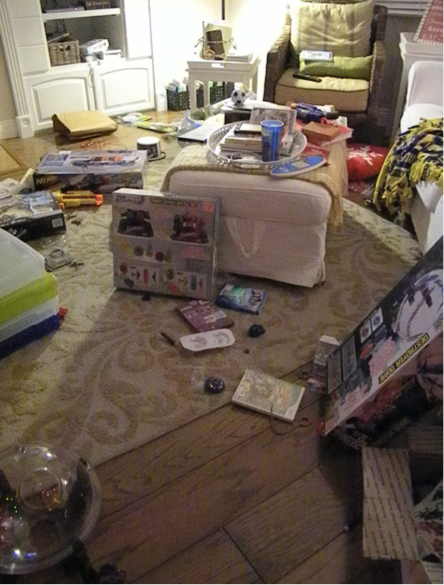 I wish I had some wonderful organizational tip to share…but I don’t. I love those boxes and I’ll have to find some on sale. They look perfect for fitting under the bed, too. Thanks for the tip!